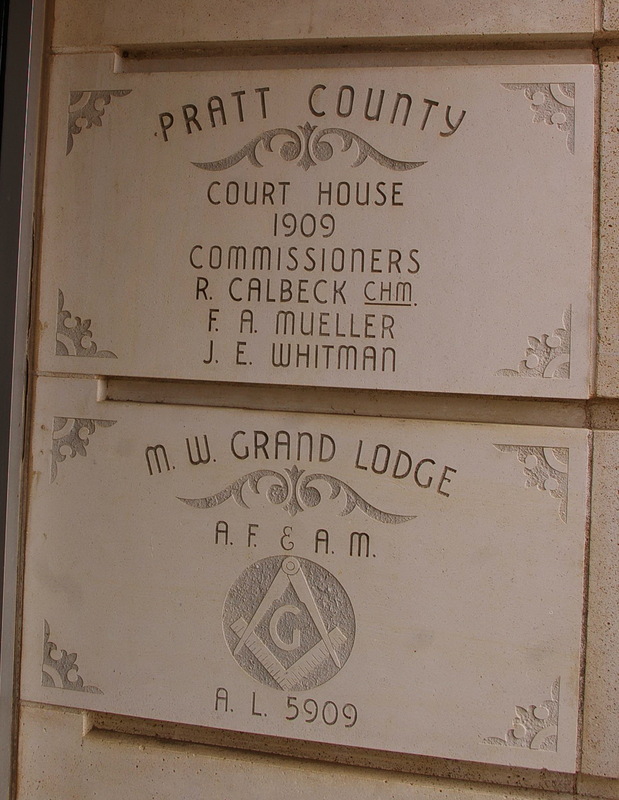 Pratt County is named for Caleb S Pratt, who was a 2nd Lieutenant in the 1st Kansas Infantry and who was killed at the Battle of Wilson’s Creek on August 10, 1861. Description: The building faces west and is a four story red colored brick and limestone structure. The west front has a large porch supported by four columns which rise from the second story to the top of the fourth story. 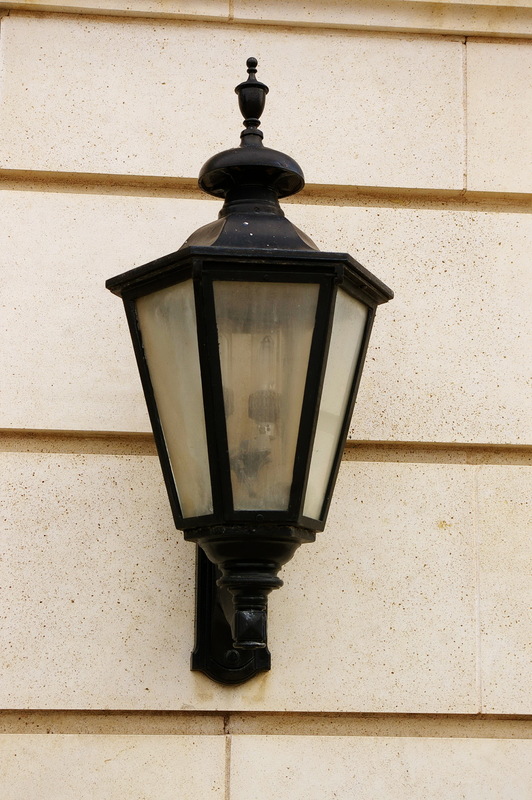 The first story is faced with white colored limestone. There are balconies on the second and third stories. The corner sections project slightly from the main building. The roof line is flat. The building was remodeled in 1923 after fire damage and completed in 1924. The architect was A R Mann & Company of Hutchinson. 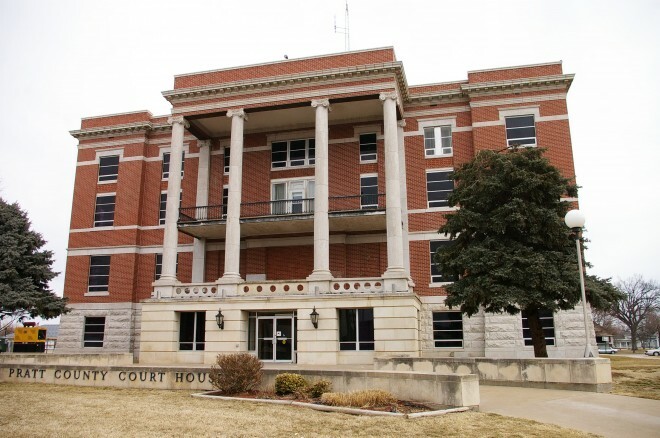 Note: The courthouse and separate jail facility behind it were built for a total of $101,399.31. On June 6, 1923, the roof and top two floors of the courthouse were destroyed by fire, believed to be the result of a lightning strike. The brick and stone exterior walls were deemed structurally sound and A.R. Mann of Hutchinson was hired as the architect to rebuild at an estimated cost of $50,000 to $60,000. 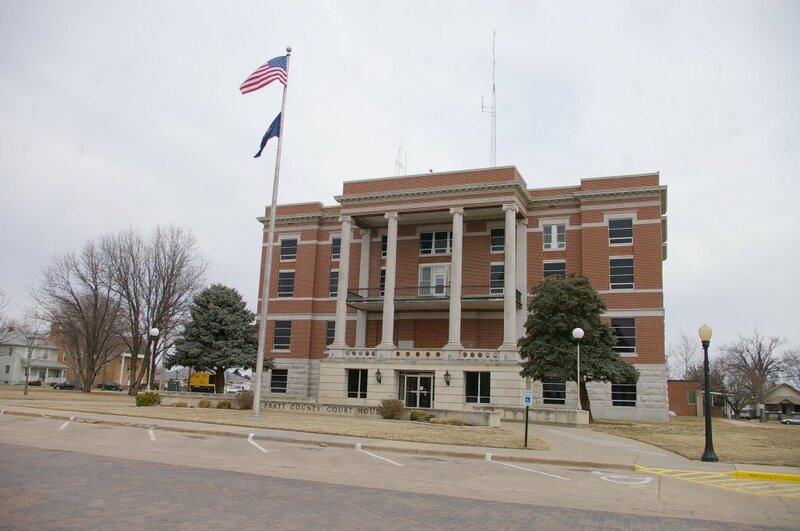 See: The architect, George P Washburn & Sons, designed courthouses in Anderson County, Atchison County, Butler County, Chautauqua County, Doniphan County, Franklin County, Harper County, Kingman County, Miami County and Woodson County,and Beaver County in Oklahoma. 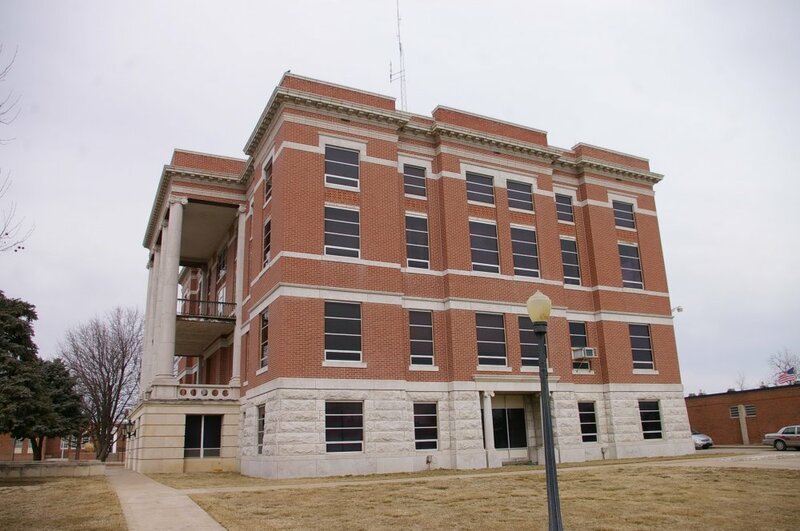 See: The architect, A R Mann & Company of Hutchinson, designed courthouses in Ellis County, Ellsworth County, Graham County, Lane County, Republic County, Scott County, Stafford County and Stevens County.